Mizuka Ueno (Jap: 上野水香) The Tokio Ballet and Matthew Golding (HET Nationale Ballet) in Delibes Suite, Pas de deux, choreography by José Martinez, music by Léo Delibes. Taken on 20.1.2014, at Deutsche Oper Berlin, Malakhov and Friends — The Final ballet gala. Mizuka Ueno is a Principal at The Tokyo Ballet. She was born in Kanagawa, Mizuka Ueno began her ballet studies at the age of 5. In 1989, she won the first prize at the Japan dance competition in Saitama. Having won the Prix du Lausanne Scholarship in 1993, she entered the Academy du Danse Classique Princess Grace in Monaco. Upon graduation from the school at the top of the class, she joined Asami Maki Ballet in Tokyo in 1995. In 2004, Ms. Ueno joined the Tokyo Ballet in March. In 2004, she danced ‘Odette/Odile’ in “SWAN LAKE” with Vladimir Malakhov. In 2005, she danced the role of ‘Titania’ in the Tokyo Ballet premiere of Ashton’s “THE DREAM.” In 2007, she was invited to Corpo di Ballo del Teatro alla Scala’s “DON QUIXOTE” to dance ‘Kitri’ together with Leonid Sarafanov during the company’s Japan tour, and also invited to dance “BHAKTI III” at Teatro Municipal de Santiago’s 150 year anniversary Gala. 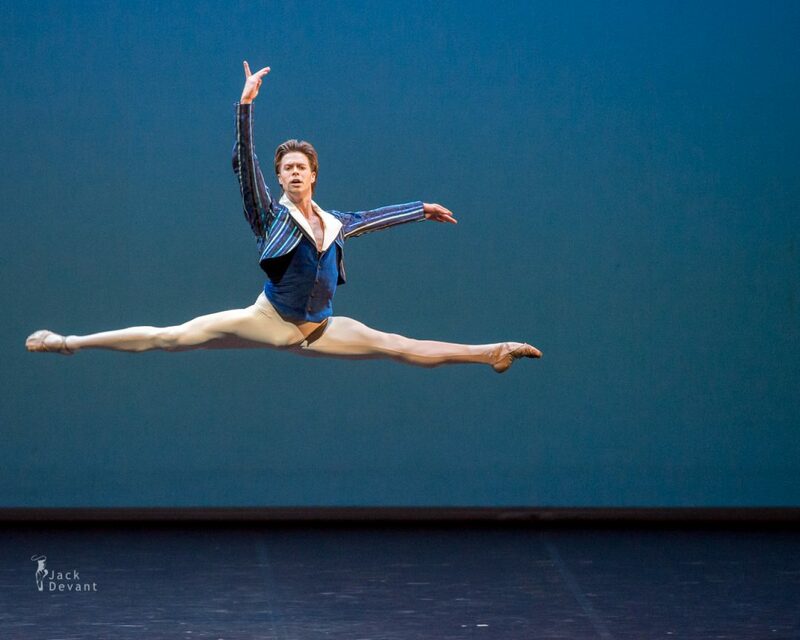 Matthew Golding is Principal with Het Nationale ballet. Matthew Golding was born on 1985, in Saskatchewan, Canada. He graduated from Royal Winnipeg Ballet School, Canada and the Universal Ballet Academy in Washington D.C. In 2002, he was awarded the “Grand Prix” from the Youth American Ballet Competition in New York and received a prize scholarship at The Prix de Lausanne Ballet Competition to attend the Royal Ballet School in London. He graduated from The Royal Ballet School of 2003 and joined the American Ballet Theater, NY. In 2009 he joined The Het National Ballet, Amsterdam.